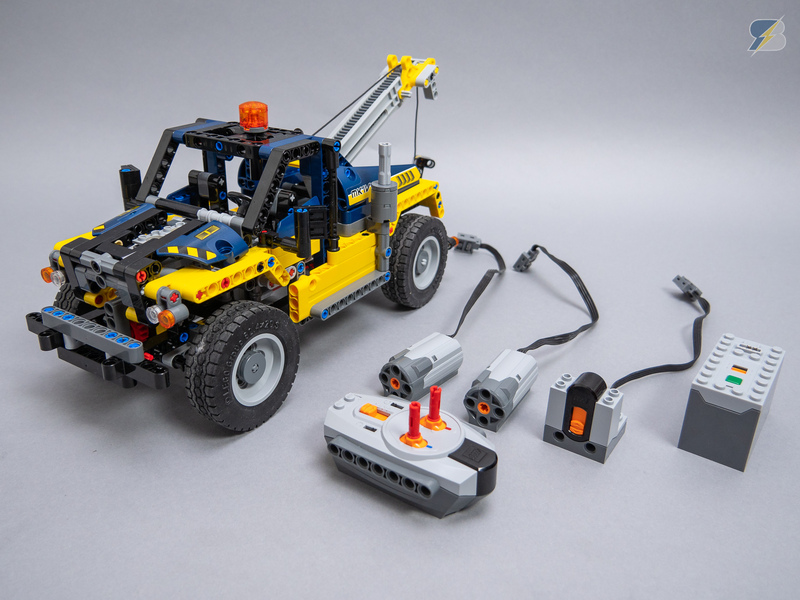 LEGO® Technic 42079 Tow Truck (B model) upgrade pack that enables the remote control of the vehicle. One M motor is used to drive the rear wheels, the other M motor is used for steering. If you already have the necessary Power Functions parts then please check out the 42079 RC upgrade pack without Power Functions or contact MOCHUB for a custom quote.